European Aviation Safety Agency (EASA) has awarded full type certification to the Tecnam P2012 Traveller. The arrival into service of the next-generation 11 seat P2012 Traveller is much anticipated by many airlines, who have been demanding a replacement for the many hundreds of ‘heritage’ aeroplanes in the FAR23/CS23 category currently in service around the worldand is set to open many profitable opportunities in the Short Haul transportation segment. With Federal Aviation Administration (FAA) certification is expected to follow shortly, Tecnam are on track to commence deliveries in early 2019. Already established as a leader in both the Flight Training and Private General Aviation sectors, the entry into service of the P2012 will undoubtably herald similar success for Tecnam in the very competitive commuter airline market too. The P2012 Traveller development project was officially announced in 2015, with Tecnam investing in new state-of-the-art production facilities in Capua, Italy. 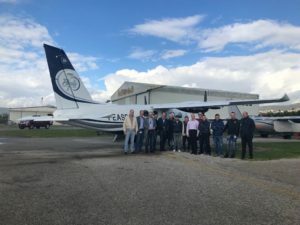 This key certification milestone will add and ensure new and significant profitable revenue streams for Tecnam, which have been built on a foundation of over 70 years’ aircraft manufacturing. The Tecnam board is particularly proud to have met all schedules announced at the time of the application for the certification program: the first P2012 prototype made its maiden flight in July 2016 and the Type Certificate has been obtained in December 2018. The two prototypes used in the certification programme have flown a total of 600 hours with Tecnam Experimental pilot Lorenzo De Stefano. The flight test programme included sorites in severe environments: in real icing conditions and very hot temperatures, at altitudes and speeds not usually met in everyday operations, testing diving speeds and flutter conditions. The test programme was focused on assuring customers that the P2012 will operate safely and reliably at all times in all weather condition. Particular care has been applied on cabin safety, evacuation and fire protection tests, going further than the CS23 EASA and FAR23 FAA requirements and reaching Commuter category standards (for aircraft up to 19 passengers), while for other features, such as seating safety, Tecnam met the more restrictive CS-23 FAR 23 rules. The P2012 Traveller programme benefited from the support of many global aerospace organisations including Lycoming and Garmin. Tests were also performed in partnership with organizations as Federico II University of Naples Wind Tunnel, Polytechnic of Milan for dynamic tests on seats, Ice wind tunnel in New York, lightning test in Nürnberg, Germany. The certified aircraft configuration is a high wing twin engine machine powered by two Lycoming 6 cylinders’ turbo pistons TEO540C1A. It is the first piston aircraft with electronic management of engine power, which, coupled with Garmin autopilot, enables a reduced workload for pilots and a better lifetime of the engines. The anti-ice, de-ice system chosen is TKS from Cav Ice makes the aircraft FIKI and capable to fly in all weather. The design and manufacturing of the seats has been made directly from Tecnam, ensuring safety and Italian styling. Particularly appreciated from the authorities’ test pilots was the ergonomics of the cockpit that makes the flying experience of the pilot comfortable and safe. 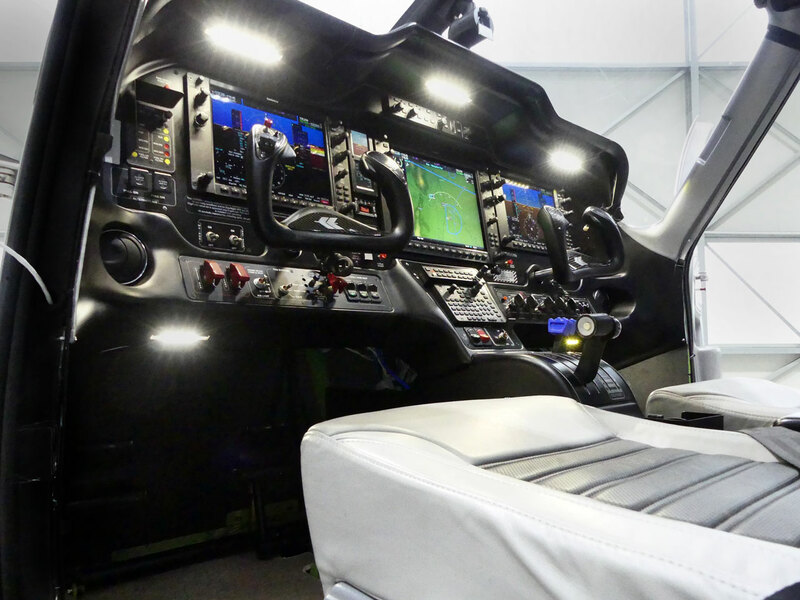 The P2012 superb versatility will open up new unexplored opportunities as a passenger aircraft, Medevac, VIP, Cargo and for any other mission. The first P2012 Traveller will be delivered to United States regional airline Cape Air in early 2019. Cape Air is based in Hyannis, Massachusetts and is one of the largest independent regional airlines in the US. Cape Air has been recognized as “One of the Top Ten Small Airlines in the World” by Condé Nast Traveler.